Manchester United’s aura, its sense of impregnability at Old Trafford and its hold on the Premier League are fading. A third of the way into the new season, United has lost back-to-back home games, for the first time in the memory of many fans. So said Rob Hughes in the International New York Times from Monday. Yes, indeed there seems to be a problematic season lying ahead of Manchester United but more importantly for their manager David Moyes. However, the club would be best advised to keep their manager. David Moyes, like his predecessor Sir Alex Ferguson is of Scottish origin and in the history of the club, those have proven the most successful; even after they enjoyed a rocky start and had to endure relegation. He joined the club in 1945 and served until 1969, with a short stint in 1970/71. In his 24 years in charge, United have won a total of 13 trophies, which amounts to 1 piece of silverware every 2 years. This is pretty good considering that the league was less predictable compared to the early 2000s. 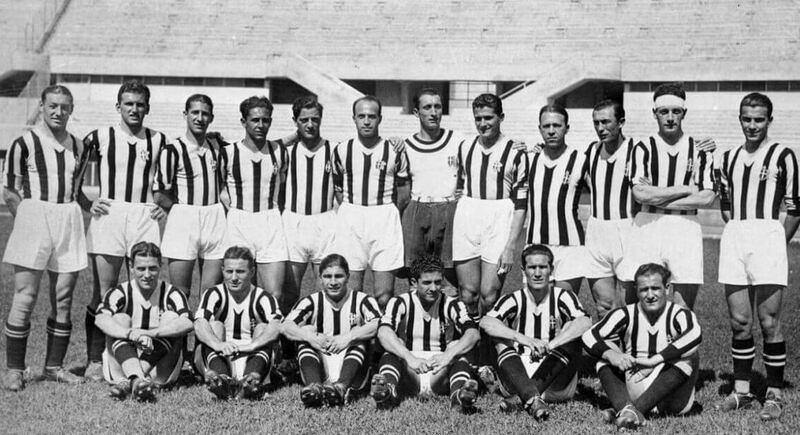 Additionally, Busby was forced to re-build a new team after the Munich Air Disaster 1958 in which 8 team members were killed. It must have been a vindicating moment for him to win the European Cup 10 years later. It took Busby 3 years to win the FA Cup in 1948 and another 5 before Manchester United were crowned champions of England under him. It was United’s 1st league title since 1911 and their 3rd in total. There were 4 more to follow before he resigned in 1969, a year after his biggest triumph, the European Cup. Matt Busby built the foundations for the club to become a brand recognized world wide. It took almost 10 years before another Scotsman was hired by the club. This time though it was a person with an excellent track record. Alex Ferguson has managed Aberdeen FC from 1978 until 1986 and guided the club to unprecedented success. When he left there were a total of 11 trophies in the cabinet of The Dons. Many will remember this placard from 1989. It took Ferguson years to win anything at all. 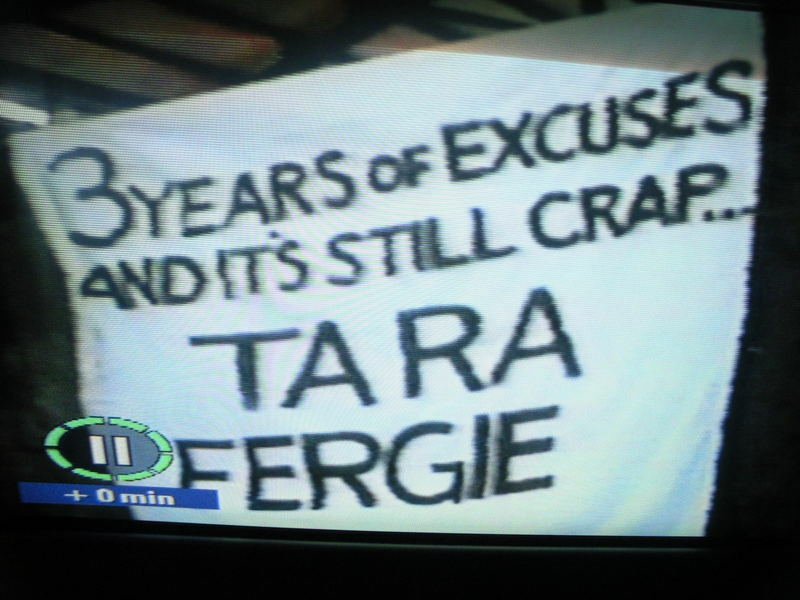 Moreover, this placard was made in frustration by a fan who expected United’s cup game against Oxford would be his last. How wrong he was. It is said that the FA Cup win in 1990 in a replay against Crystal Palace saved his career at United. In the time that has passed since, Ferguson has exceeded every one’s expectations, possibly even his own. 26 years later, there are 38 titles won under him. Once more it took a while before things got going for him at United but once the wheels were set in motion, there was hardly anything that could stop them. David Moyes has arguably the worst job in football management these days. Following Ferguson and being heaped with such a huge heritage is a task no one would find it easy to cope with. As much as Moyes claimed that all decisions regarding his team are his own, so much it is clear that the shadow of Ferguson still looms large over Manchester United. It is not just written on the Sir Alex Ferguson Stand at Old Trafford, it is certainly still felt strongly around the club. One simple reason why Moyes should be given time at the club is a statistical one. Every Scottish manager has won them leagues titles and cups; Manchester United’s most successful English manager was Ernest Mangall who worked from October 1903 until September 1912 at the club and with whom United won their first 2 league titles, and as many Charity Shields and 1 FA Cup. It is therefore the most successful ‘Scottish’ club outside Scotland. Yet, the cat calls for Moyes’s sacking are growing louder by the week and have further increased after the second league defeat at home in a row. His position is certainly still tenable due to the team’s performance in this year’s Champions League. Football has changed since Ferguson was hired. It has become faster and the demand to deliver has become excruciating. So much so, that Moyes may find that he will not enjoy as much as time as his huge predecessor was able to. Given the debt the club has to repay after the Glazer family have taken over, any loss in income may result directly in a lack of transfer funds for David Moyes which would severely undermine his position further. Back then, 4 years were a long time, 4 years now seem to be an eternity in the realm of football. Hughes recalls that Ferguson was also given time to implement his principles. And the directors of the club were rewarded for their patience, manifold. Patience is a virtue says St. Paul in the letter to the Galatians. We shall see if the American owners know their bible.